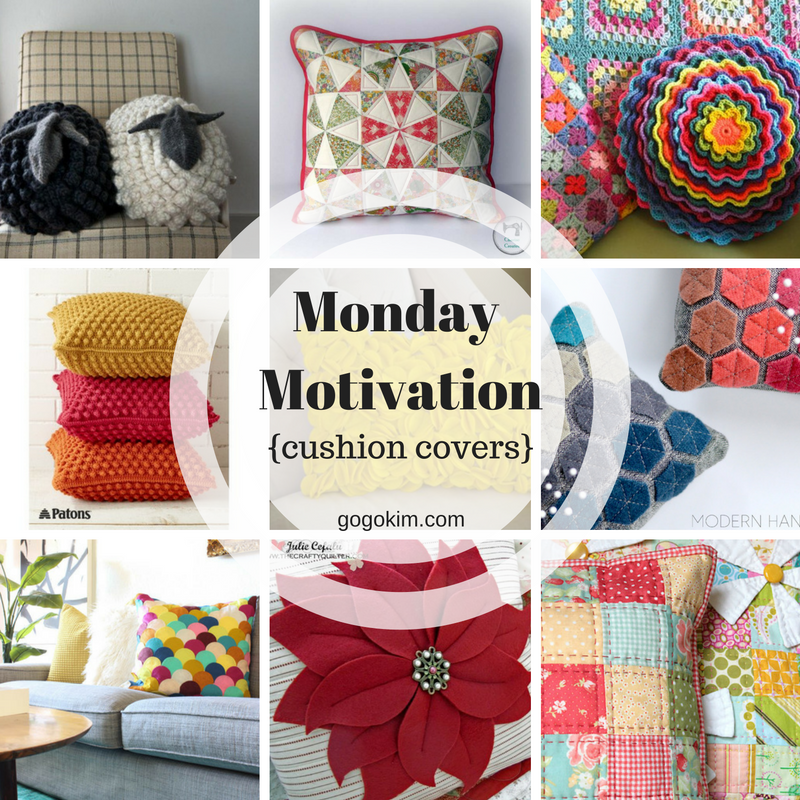 Welcome back to Monday Motivation! The changes in season always make me want to create new home decor. The real truth is that I will use any excuse to create something new! Great new looks for the home can be fun and customized by digging in your existing stash ( I know you have one) to make some lovely new cushion covers in no time at all. 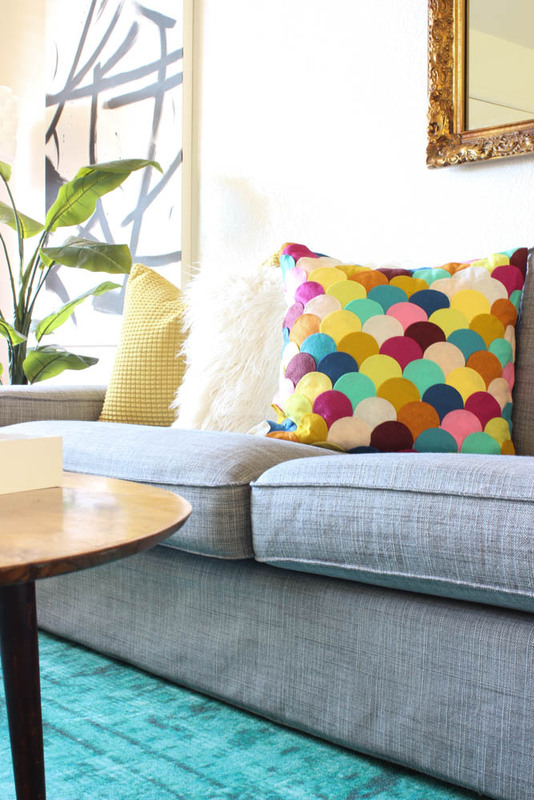 This collection includes something for everyone. 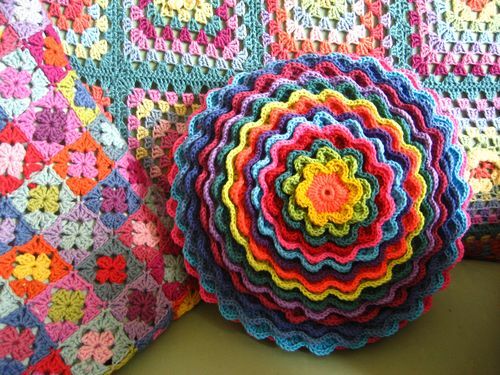 There is sew, no-sew, crochet and knitted! 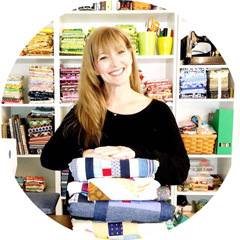 Hope you find inspiration for a new project! 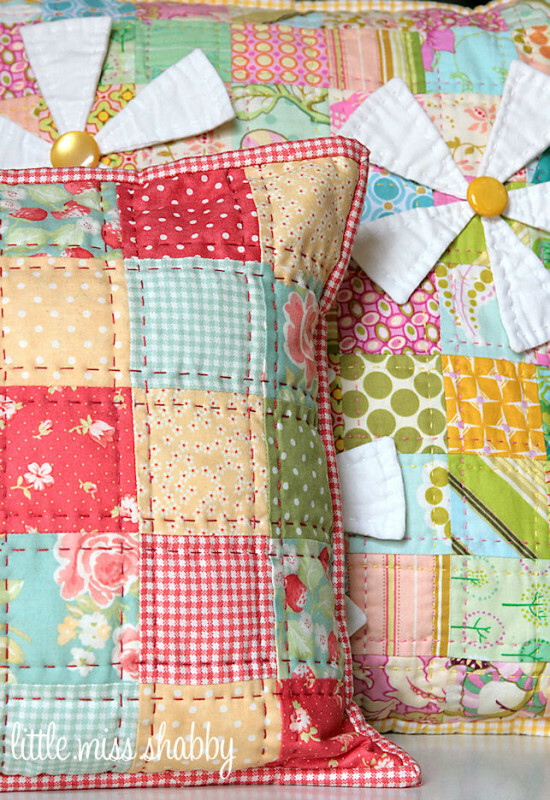 No sewing required for this colorful pillow! 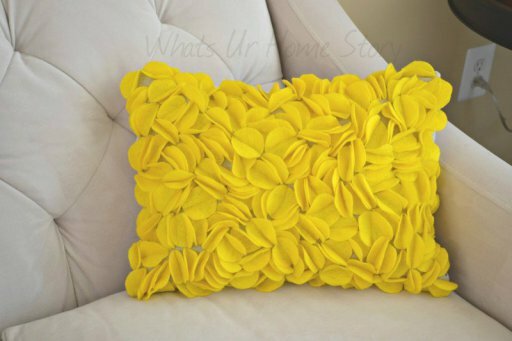 To make this lovely DIY Felt Scalloped Pillow, visit Classy Cutter. 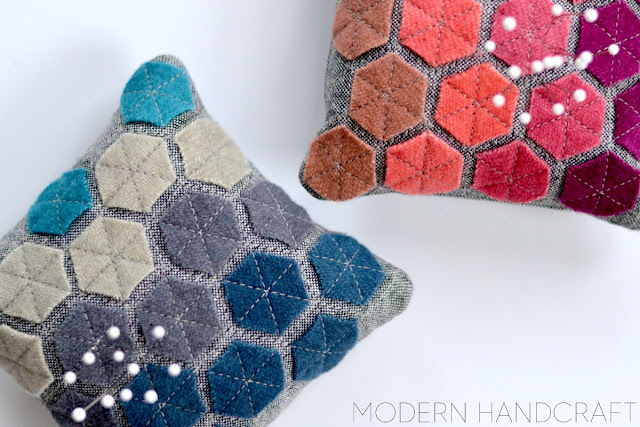 Vidya from What's Ur Home Story has a free tutorial for this inspired Felt Circle Pillow! 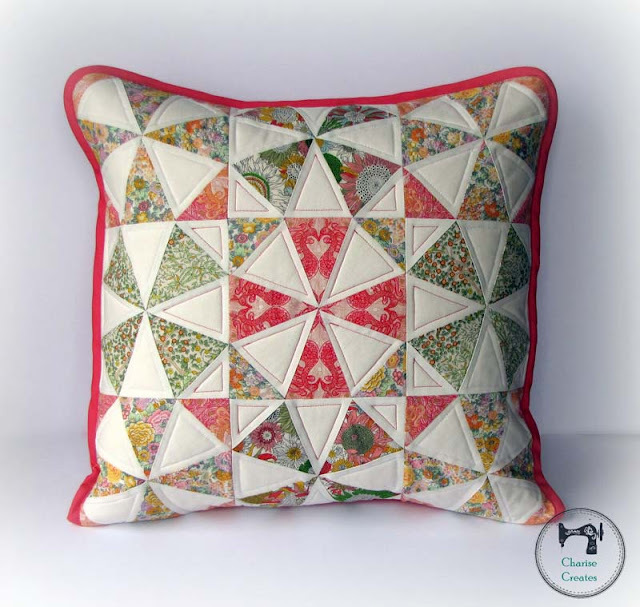 Lucy from Attic 24 created a free pattern and tutorial for this Blooming Flower Cushion! 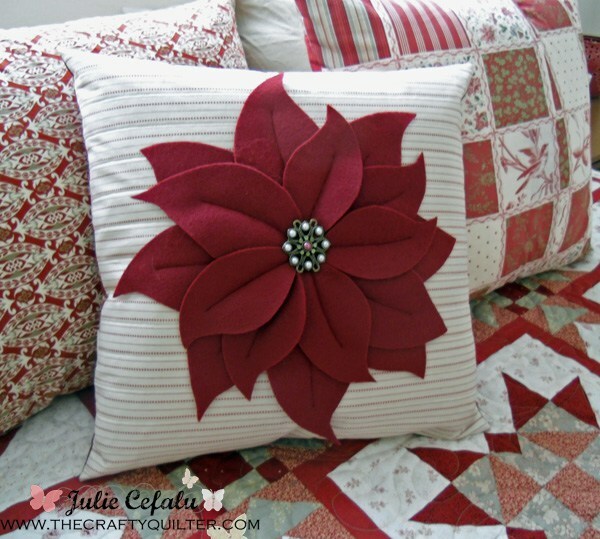 Get a jump on your holiday decor with this pattern for a Poinsettia Pillow by The Crafty Quilter! 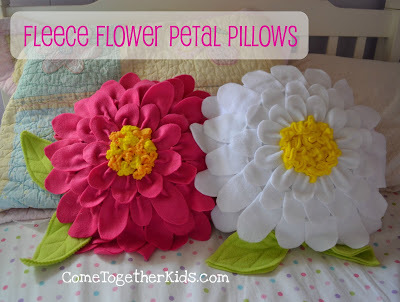 Another no sew pillow cover option using fleece with these Fleece Flower Petal Pillows by Come Together Kids! This one free pattern alone makes me want to learn how to knit! 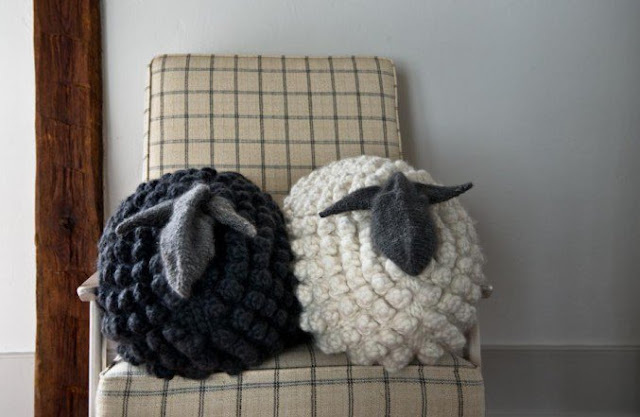 Thank you Purl Soho for the Bobble Sheep Pillow Pattern! They had me at the name "Bobble-licious!" LOL! 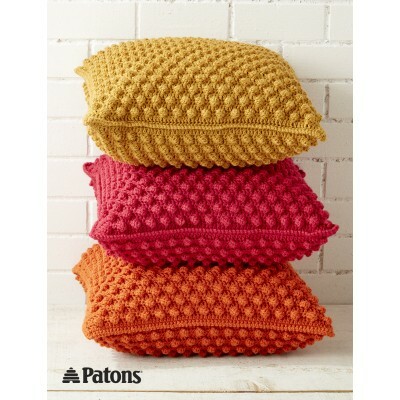 These wonderful pillows were made using the free pdf crochet pattern from Patons Canadiana yarn. This beautiful Paper-peiced Spring Kaleidoscope Pillow was designed by Charise Randell of Charise Creates and featured on Sew Mama Sew.